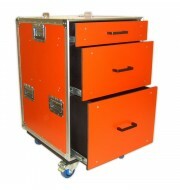 This stylish four draw tool box is designed to accommodate an array of universal tools or backstage equipment. 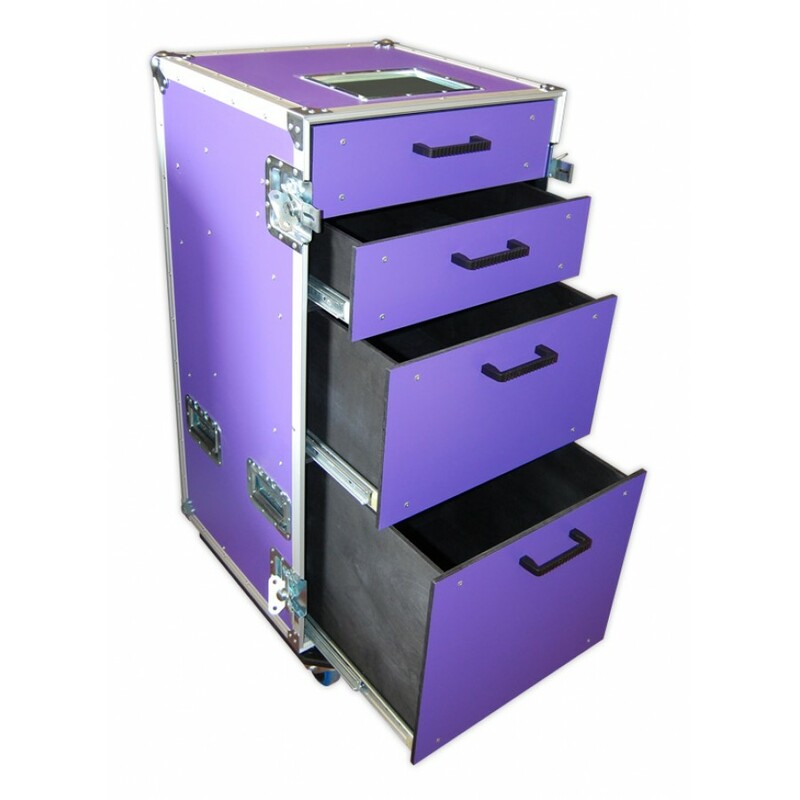 This appealing flight case toolbox is constructed using strong 9mm birch plywood which is bonded together with a lavish purple laminate. 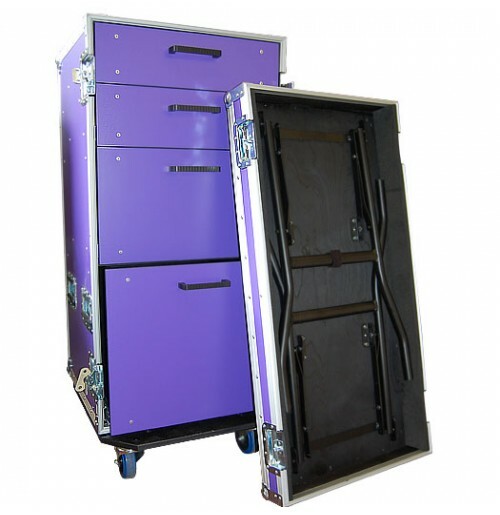 One great feature is the folding table legs which are situated in the lid of the case. 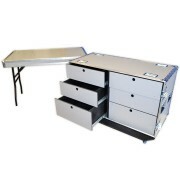 This allows the user to turn the lid into their very own work table, utilising it for all purposes. 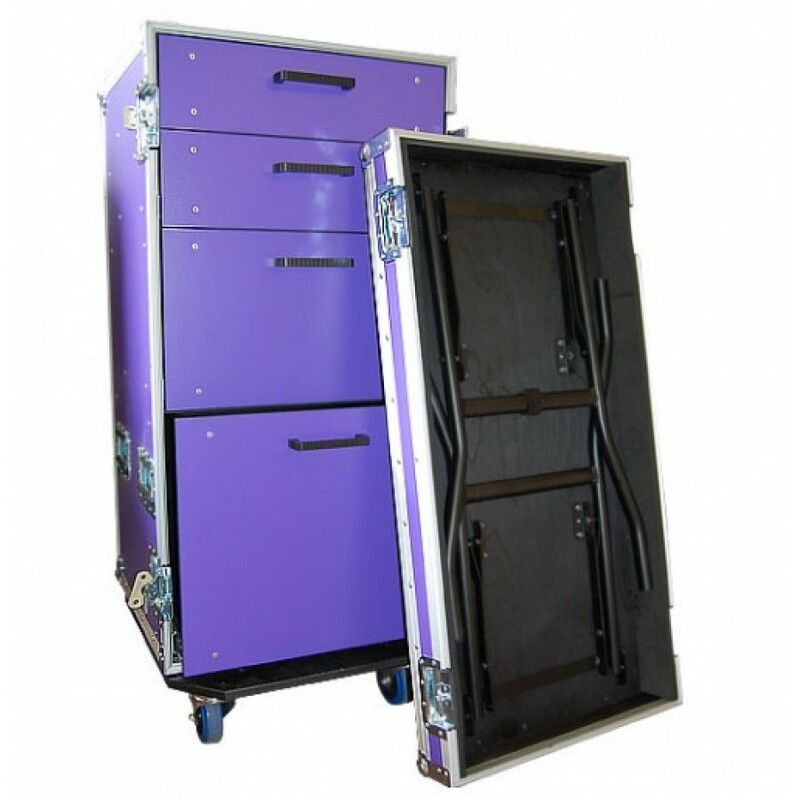 Each draw contains different depths, enabling a larger quantity of items to be placed towards the bottom of the case. Finished in a vibrant purple laminate.